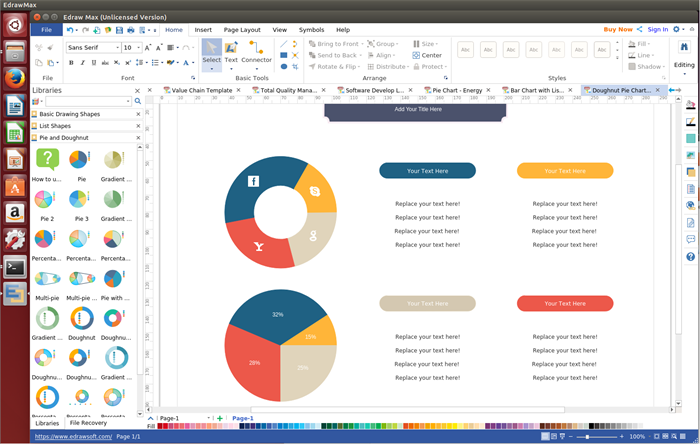 Try easy-to-use Edraw doughnut chat software for Linux and create your own custom doughnut charts with no need to hire a professional designer. 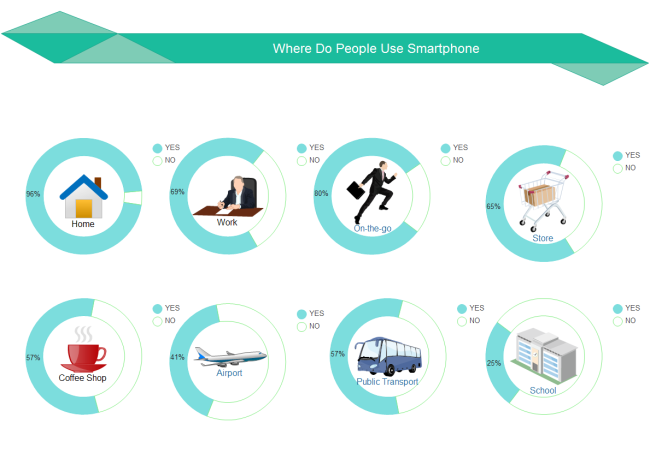 A donut chart is essentially a pie chart with an area of the center cut out, people usually call it the hole. You can define hole radius to any size you need, both in percent or pixels. Doughnut chart can obviously show the percentage and the contribution of every part for the overall. 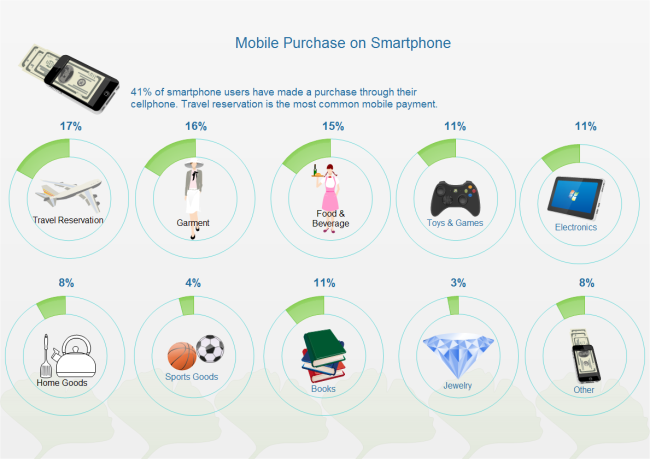 There is no doubt that Edraw doughnut chart software for Linux is one of the best doughnut chart maker. It is simple but powerful and easy to get started, even a novice can create professional doughnut charts with abundant shapes and templates it provides. 1. All-in-one chart software for Linux which can create area chart, gauges, pie charts, line charts, scatter charts and so on, not just doughnut chart. 2. It provides abundant pre-made doughnut symbols and all the symbols are free to drag, drop and edit. 3. Users are allowed to design their own shapes with embedded drawing tools if they are not satisfied with built-in ones. 4. Users can get a quick start by choosing a pre-designed templates and customzie based on it or open a blank drawing page to start from scratch. 5. 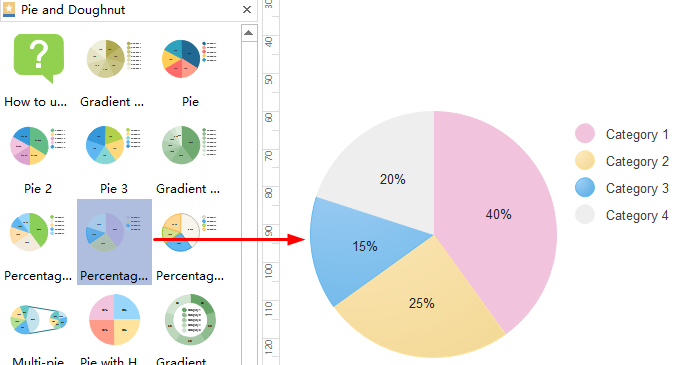 Real-time collaboration and multiple file formats import & export enable users to share doughnut charts with several clicks. 6. Users can enjoy a lifetime upgrade guarantee for free once buying a lifetime license. Various doughnut shapes are provided in the left libraries of Edraw Linux doughnut software. Just like below picture shows. All the shapes are easy to edit and royalty free. Users can start with dragging and dropping built-in shapes or start from scratch with embedded drawing tool to create their own shapes. When you are tired of drawing the doughnut chart by hand, you really should try our Linux doughnut chart software, a time-saving and energy saving chart maker which almost make everything ready and you just need to click your mouse to finish below simple steps. 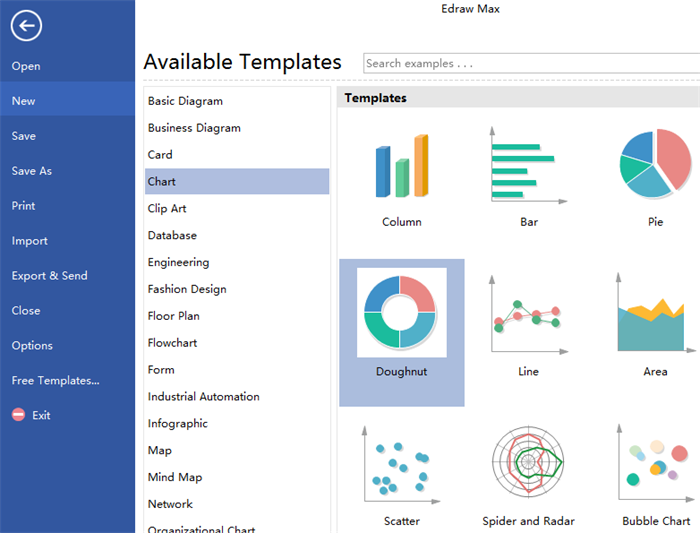 Launch Edraw, navigate to Chart template, then double click Doughnut Chart icon under to open a blank drawing page. Drag a doughnut shape from left libraries and drop on the drawing page. 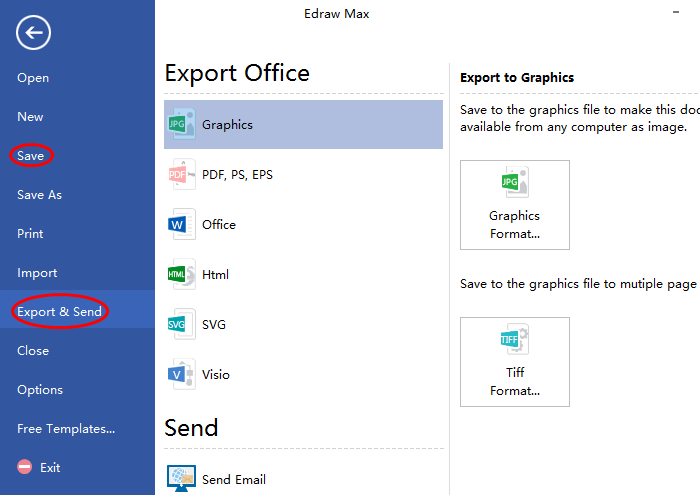 Set the data value and categories manually or click the floating button to load data from local file directly. 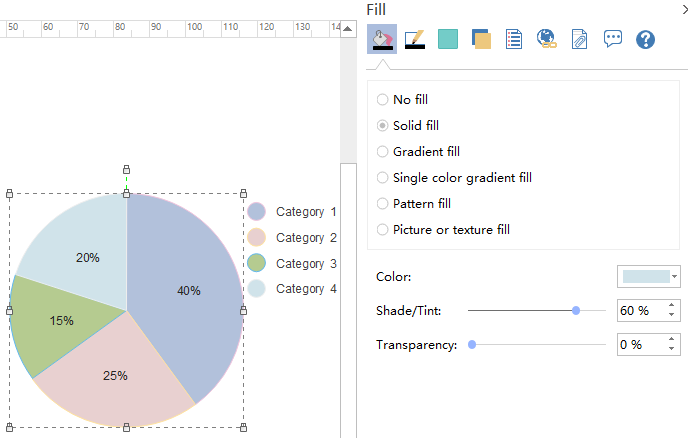 Go to the right sidebar and set the chart color to make them easy to analyze. Click Save to save the doughnut chart as default .eddx format; or export it to common formats which are convenient to share by clicking Export & Send. 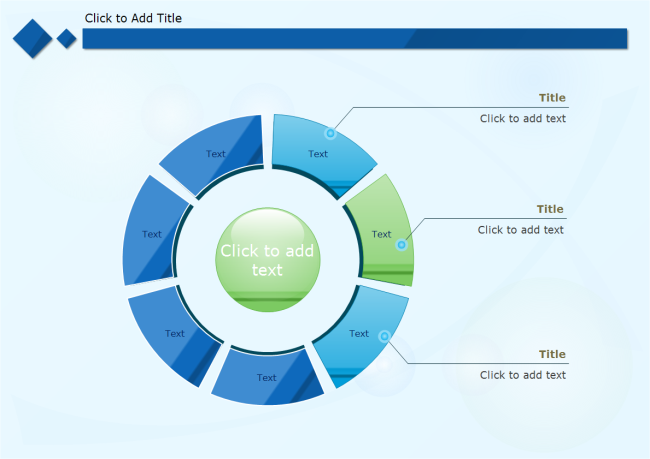 Click Step-by-Step Guide on Creating Doughnut Charts to view detailed steps. Below are doughnut chart examples designed by Linux doughnut chart software. All the examples are free to download, edit and share. Just download the one you like and customize to fit your own needs.